Thirty minutes early for an appointment, and it’s highly impolite to arrival thusly in Germany. The business contact may very well be doing nothing thirty minutes before the scheduled meeting, but you still don’t present yourself even if they are at their desk looking at the ceiling. So I decided to walk-on, and besides which…I needed the “facilities” so stopping to have coffee or tea at a sit-in bistro, café or the like was the best option. I was infinitely glad I did, for more than one reason. 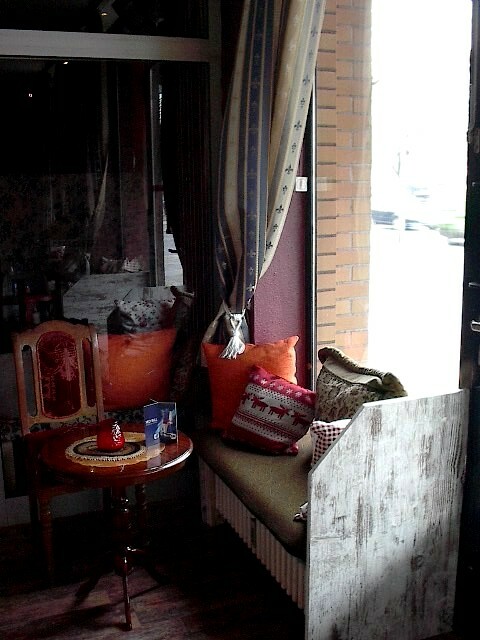 Café Maja. A very nice, stylish yet comfortable atmosphere, intriguing decor, an accommodating host, and what isn’t always easy to find, though there are literally thousands of such places across the city: a drinking spot that had a wonderfully intimate feel even in the afternoon. It’s not often I take a seat, cross my legs in front me and relax with an arm across a seat back, but this place invited it. There were what I would call more feminine attentiveness to details, but that is too gender binding, for guys might certainly appreciate Café Maja as well, most especially for me in that it was clearly well-run, very clean, and not too “froo” to resist some playing some excellent ambient and trance music. A place I would arrange a day-time meeting, whether personal or informal yet professional, but also someplace to have a nightcap after an evening casual date. It’s almost all drinks though, so if you looking for a sandwich, snacks or cakes, I didn’t see any on the menu. 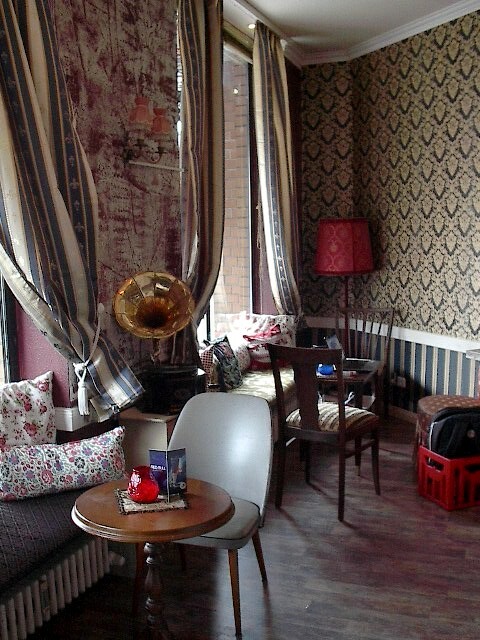 Hot and cold drinks: expresso, hot chocolate, teas and more, besides a moderate array of cocktails and beer, all around average price (1,5€ – 6€). Free wi-fi and also, something I’d never seen before, a place to play games as well, such as hand-held consoles like Nintendo DS. 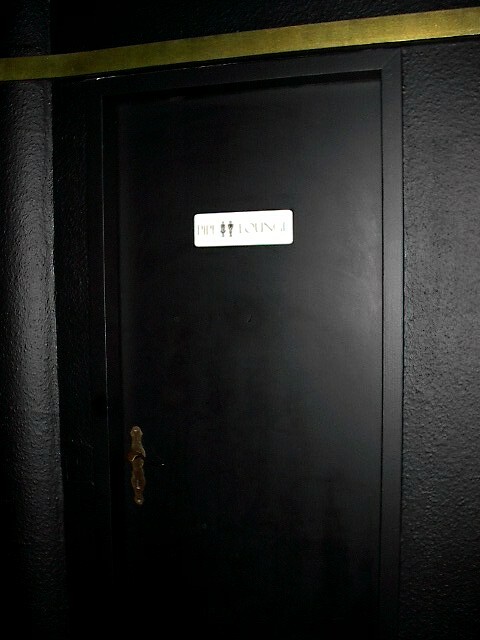 And besides, any place that has a sign “Pipi Lounge” for the bathrooms? You gotta love it. A place I would arrange a day-time meeting, whether personal or informal yet professional, but also someplace to have a nightcap after an evening casual date. 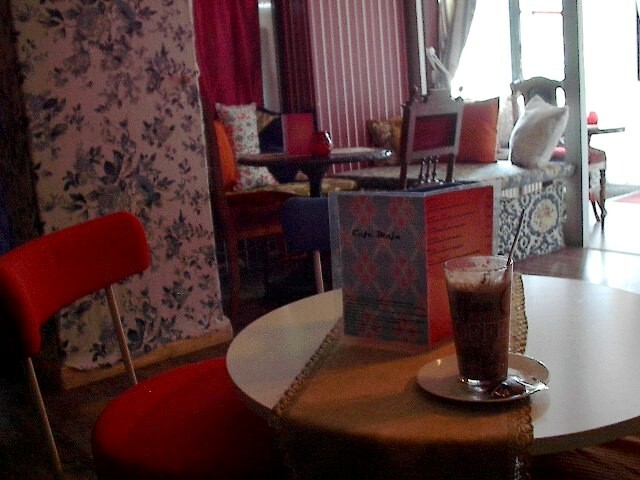 Café Maja, at Seestraße 39. You can take the U-6 to the Seestraße stop, and its only a 3 or 4 minutes walk down the street, and may not even take that long. Posted in Personal Entries, Photography, Photos, Reviews. Tagged berlin, berlin cafes, berlin germany, cafe maja, red haircrow.